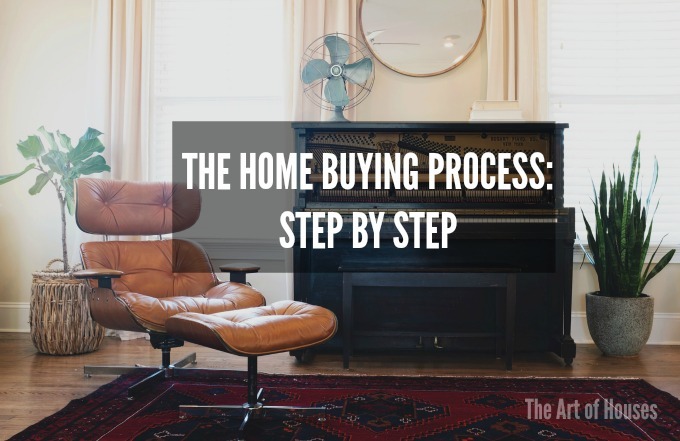 Ready to buy or curious about the process? Let's review your next steps. Prepare --> Look --> Offer --> Negotiate --> Acceptance --> Escrow --> Close --> Move in! Having a good credit history will allow you better options when selecting a mortgage and also save you money in the long run. Read my post about preparing your credit to buy a house. Being prepare for the numerous costs when buying a home will make it a much less painful process. Read my advice on how much to save up. You want to be prepared to put an offer on that how you just fell in love with, so make sure you are pre-approved. Houses sell fast and most agents want to see your pre-approval letter submitted with your offer. The first house I wanted to put an offer on was already in escrow by the time I got pre-approved. I still drive past it wistfully. Keeping your options open will give the most choice of homes in your price range. Priced out of your target areas? Learn about some undiscovered LA neighborhoods and how to find your next favorite neighborhood. Narrow down your target neighborhoods and then test out your commute to work and then commute back home. The initial area I wanted to put offers in changed after one unbearable commute "home". Keep an open mind. Chances are that you will not find a house with everything on your wish list. Realistically, finding a home with half of your wishlist is a score! Think about your deal breakers and talk to your family about what sacrifices you'll make for homeownership. Perhaps your dream home is in an area you've never heard of. Or the only way to get into your target neighborhood is by buying a fixer upper or smaller house than you would like. Maybe you have to live with that hideous kitchen for a couple years while you save up for a renovation. For me, I wasn't willing to have a horrendous commute but I was willing to put in some short term pain with an extensive, budget-priced renovation. Understanding costs can help you pick the right house. Perhaps that renovation will cost more than you imagine, or that renovation is actually within budget. Know some basic info can narrow down the houses you target. Ask your friends and family about their recent renovations. Let them know that you're in the market and ask if they're comfortable sharing the costs of their renovations with you. This may also be a great way to get referrals for great local contractors and trades people. You can also do research on websites like Houzz and read through the forums to get a sense what various renovations entail. A subscription to Angie's List can also be beneficial, as you can research local vendors. Reviews show a ballpark repair price, which I've used to narrow down vendors in my budget. I'm also happy to share my personal experience renovating and share my list of great local vendors. See some homes before you are ready to buy to narrow down your wish list and list of deal breakers. Check out some open houses in an area you're not interested in to make it less tempting or less disappointing when you can't buy yet. Note the house's amenities, the layout, the condition and check out the neighborhood. Talk to your family about what you do and don't like. This is a great way to get consensus in a no-stress situation. It will also make it more likely that you won't overlook that perfect house because your family wasn't on the same page. Once you're ready to buy, I can sit down with you and make a short list of homes you are interested in and arrange showings. We will tour the home and then review what you love about it and what you didn't like about it. We can then revise your target list of homes or make an offer. Ready to make an offer? I'm happy to draw up an offer, which can be quickly done. I'll sit down with you to discuss what you feel comfortable paying for the home and our strategy for winning this offer. We will also talk about contingencies you will include in the sale, such as the inspection contingencies, appraisal contingencies and financing contingencies. We currently have a seller's market in many areas of Los Angeles and it's important to put your best foot forward. Many homes are getting multiple offers, with some getting up to 20 or 30 offers. Don't let that discourage you, because you know the price you can afford to pay for this home. After I send your offer to the selling agent, they will present it to the seller. If they accept, they simply sign the offer and send it back. Sometimes they will hold all offers to discuss the merits of each one and then decide. Or they may hold all offers and then send back counter offers to a select few. This is where my experience and that of the Carrabba Group come in. I will negotiate on your behalf to get the best deal possible. We will discuss strategy on how to improve your offer, should you choose to proceed. Once you receive a counter offer, you have the option of refusing it, modifying it and sending it back or accepting it. Should you accept it, you are on your way to buying a house! Congrats! Should you modify the offer, the seller has the option of accepting it, sending it back or rejecting it. Once a modified offer is received by the seller, you do not have the option of choosing to go back and accept the last offer they sent you. Sending back an offer essentially creates a brand new offer that both parties must accept. Don't worry, I will walk you through this process! Should you decide to move on and not send another counter offer, we will sit down and discuss our strategy for ensuring your next offer is a successful one! You've received an acceptance from the seller - congrats! This is where amazing agents stand out! My goal is to make sure that you have all the information you need in order to decide to proceed with the sale, be compensated for any issues not disclosed by the seller before your offer and to ensure the closing process goes smoothly. I will advise you at every step and make sure you know your options. You will send in your earnest money deposit, about 3% of the value of the sales price. Then I will negotiate with the selling agent and arrange your inspections. You will first receive a packet of disclosures from the seller. This will include any material defects of the house, basically anything they know is wrong with the house. At the same time, we will schedule a home inspection. I also highly advise getting a sewer inspection, foundation inspection and termite inspection at the same time. I will meet the home inspector at the property and note all potential issues before he returns the report. This will allow me to advise you on further inspections or quotes on repairs you may need. We will review preliminary title reports and any other public records to ensure we know as much as we can about the home. At the very least, you now have comprehensive knowledge about your new home and a baseline for future repairs that may pop up. Once all the repairs and estimates are in, this is where the hard negotiation happens on my side. I will summarize the information within the reports and review the summary with you. We will then draft a Request for Repairs that outlines what you want repaired or what you want a credit for. The credit lowers the amount of money you have to bring into escrow. In tandem, I will also work with your lender and with escrow to secure any needed documentation and ensure the process is headed towards closure. I've been through this process many times - feel free to ask any questions as we proceed. Once your inspection is satisfactory, we will release your inspection contingency. The seller will complete any repairs they agreed to or credit you with an amount we have agreed to. It's important not to take on any new loans or credit during this time, as it could change your debt-to-income ratio and jeopardize your loan. The lender will get the ok to close about three days before closing. They will fund the loan and escrow will pay for any outsanding bills (taxes, liens, property transfer taxes, etc). My hard work is over and yours is about to begin! :) Congrats on your new home!